Nicole Otoupalik is a California Licensed Attorney and her focus and vocation is being a professional fiduciary with Professional Fiduciary Services (PFS.) PFS is a group of independent fiduciaries who work together providing services such as Trustee or Successor Trustee in Living Trusts, Personal Representative in Wills, Agents for the Advanced Health Care Directive and the Durable Power of Attorney for Assets. We manage family expectations, equities, bonds, businesses, real estate and personal property. Nicole has been working in the non-profit sector since 2001, handling all aspects of charitable planning for an international animal welfare organization. During this time, she has met with and discussed various estate planning options with hundreds of individuals, advised members on various charitable gift vehicles available to them, initiated a charitable gift annuity program and conferred with CPAs, attorneys and financial consultants. She has overseen many estates, following up on the myriad of details required to ensure timely, accurate distributions and participating in negotiations and mediations. Prior to her non-profit work, Nicole practiced law and specialized in trusts and estates, while also handling business transactional matters. Nicole is an active member of the CA state bar and her background can assure her clients that their estate plan is in good shape. Her combined background of charitable giving and estate planning gives her a unique perspective. This allows her to not only understand, but also to follow your wishes in regards to your estate. Beyond the traditional fiduciary roles, her background guarantees a deep understanding of your wishes in regards to your animals. 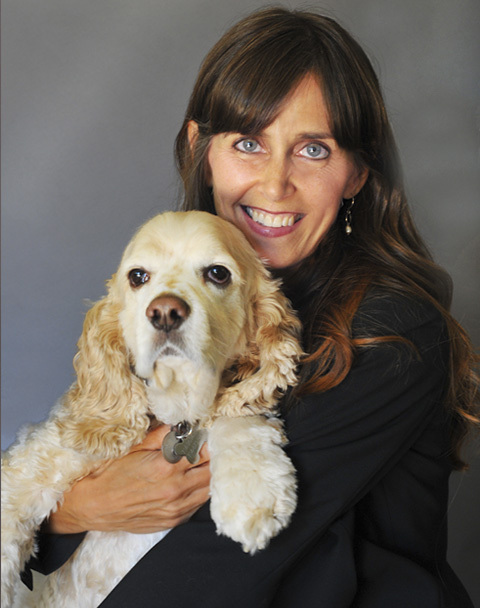 She specializes in helping individuals who are concerned about what will happen to their animals when their guardians are no longer able to care for them. You can rest assured that she will treat your animals as her own, and will do all she can to ease the transition to their new situation. Trusts for animals are enforceable in CA, and having a trustee who sympathizes with your point of view is important. Many individuals don’t have a family member or friend they trust to follow their wishes. Nicole’s educational background includes a Juris Doctor from Golden Gate University and a Bachelor of Arts from Iowa State University. She moved to Orange County in 1998 and lives in Tustin with her husband, Brad and 13 year old son, Christian. They also share their home with their dog Norman (a rescued cocker spaniel), and their two cats, Achilles and Petra.